Monday 1st October 2018, Benefit for APATRIS greek anarchist news paper. Volkseten Vegazulu, 7pm. 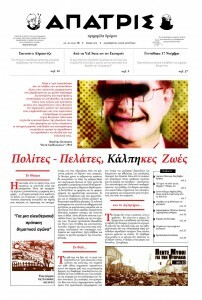 The street newspaper APATRIS (https://apatris.info/) began in 2009 from Heraklion (Crete) and for a year was distributed only locally. In 2010, comrades from other places in Crete began to collaborate with the project. 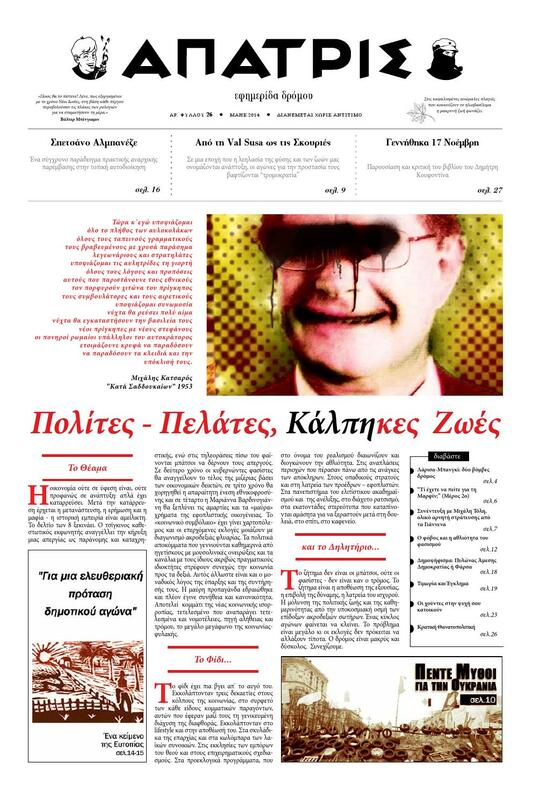 Since then and for about 2.5 years APATRIS has been issued as a Pancreatan anarchist newspaper.